Matt Summers joined the Razorbacks in 2009 and was promoted to Director of Athletic Training for the Arkansas Athletics department in 2013. In his role, Summers oversees the Arkansas athletic training department, leading a staff of full-time employees, graduate assistants and student athletic trainers. 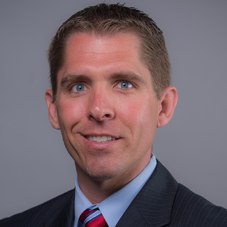 He also is in charge of developing and implementing health care policies and procedures for student-athletes, coordinating contractual agreements with health care providers that comprise the sports medicine team and managing the athletic training budget. Along with the collaboration of team physicians, Summers is also responsible for directly overseeing the health care of football student-athletes. He also develops, designs and implements strategies to prevent, treat and rehabilitate athletic and non-athletic related injuries. Before coming to Arkansas, Summers spent 2008-09 as senior athletic trainer at the University of Kentucky. He served as the director of rehabilitation, generated daily injury reports for coaches, supervised graduate assistants and students, was responsible for the budget and supplies and maintained injury records. During the 2006 and 2007 football seasons, he was assistant athletic trainer for the NFL’s San Diego Chargers. He conducted and monitored the team’s rehabilitation program, monitored the field and communicated with the coaching staff during practices, managed inventory and budgeting and was responsible for interviewing and hiring summer students and seasonal interns. Following the 2007 season, Summers was a member of the 2008 AFC Pro Bowl Athletic Training staff. Prior to his time with the Chargers, Summers worked at the University of Louisville from 2003-06. He was a graduate assistant from May 2003 through June 2005 before assuming the role of assistant athletic trainer from 2005 until moving to San Diego in 2006. With the Cardinals, he assisted the head athletic trainer with the prevention, assessment and care of athletic injuries related to football, designed and implemented rehabilitation protocols, as well as recruiting and supervising graduate assistants and students. As a graduate assistant, his responsibilities included assisting in the design, implementation and documentation of rehabilitation protocols and supervising the student staff. Summers began his career as a student athletic trainer at the University of Kentucky, where he worked with the football, men’s basketball and men’s tennis teams. He earned his bachelor’s degree in education majoring in kinesiology from Kentucky in 2002 and his master’s degree in health and wellness from Louisville in 2005. After graduating from Kentucky, he interned with the Chargers during the 2002 NFL season. Summers is married to the former Kim Ahr and the couple has a son, Jonathan, and a daughter, Ashlyn.